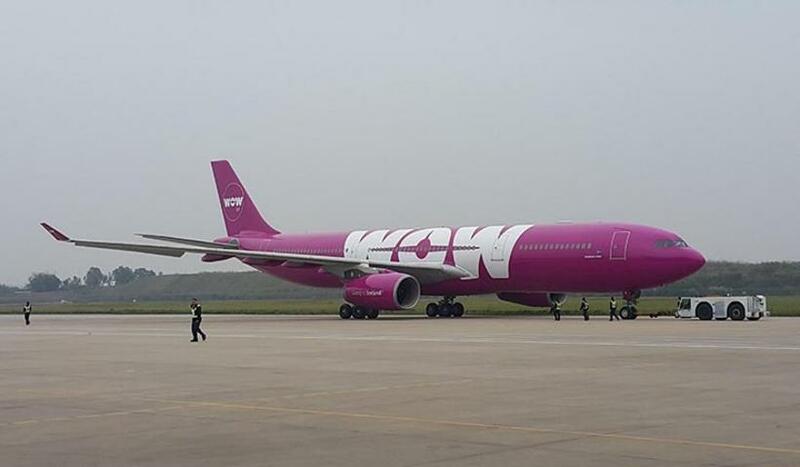 WOW Air, the Icelandic low-cost carrier (LCC) has been in the news for the financial trouble. Now, they are making news with super-low fares. You can book fares as low as $49 from the US to Europe. But those headline fares are not available on your return, but you can still score round-trip fares under $200. Find out where you can go and if this is too good to be true or a great deal! 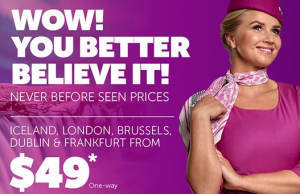 WOW Air is currently running a sale, advertising one-way fares of $49 from New York, Boston, Washington DC and Detroit to cities in Europe, including London, Frankfurt, Brussels and Dublin. Even after the fare wars of the last few years, these are ridiculously low fares, the lowest I’ve ever seen! But there are a few pitfalls with WOW Air: the first one is that the same low fares are not available on your return. While you can find $149 or $179 on some routes, I didn’t find a single return flight under $100 and many are above $200, making the total base fare much higher than hoped for. The second issue is that WOW Air fares only include a small personal item and you have to pay steep fees for a standard-size carry on (from $50) or checked bag (from $70). While I could probably make a short trip happen with a personal item like the CabinZero 28l, that’s almost impossible during the winter time in Europe when these fares are available! And then, there are WOW Air’s financial troubles and the risk of bankruptcy hanging over your travel plans. While they seem to have found an investor to rescue them, there is still an above average risk of your flight not happening as booked. WOW Airbus A330 – no more! Bottomline: If you want to do a spontaneous getaway to Europe, can find a good fare and can make it work with a personal item, this can be a great deal. If the trip is important or you need extra luggage, I’d recommend to check for fares on full-service airlines before you buy – the total cost might not be much more than the riskier deal on WOW Air!